One of the primary reasons consumers are coming to your website is to search for homes. The easier you make it to do just that, the better. You want to publish IDX listings on your website to make it easy for consumers to find homes for sale, but also, to make it easier for Google to crawl and index your listings. 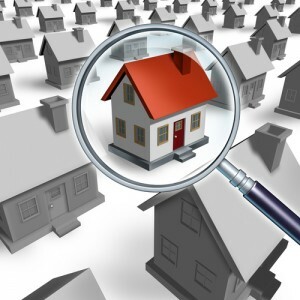 #1 First and foremost, make it easy to search for property listings. IDX search tools like our WordPress IDX plugin for example, do a great job of taking MLS listings, and automatically generating pages to display those listings on your domain. With our WordPress plugin, it’s taking every single listing as it hits the MLS and creating a page on your domain for that specific listing. It also generates pages for results by four different area types: cities, communities, tracks and zip codes. But just because those pages are being generated automatically, doesn’t mean you don’t need to do anything to promote them. In fact, you still need to work on making it ridiculously simple for site visitors to search for homes. It needs to be the first thing people see when they land your site – the homes search! #2 On the sidebar of your website. 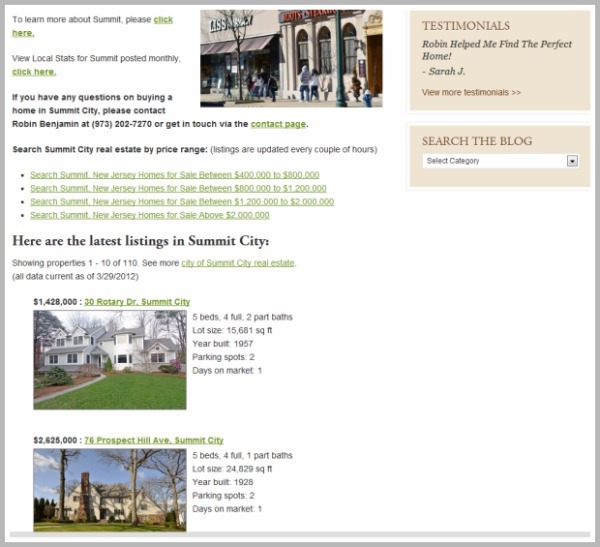 Another great place to prominently display your IDX listings is on the sidebar of your website. Not only are you making it easier for consumers to search for homes on your domain, you’re also making it easier for Google to index your listings. 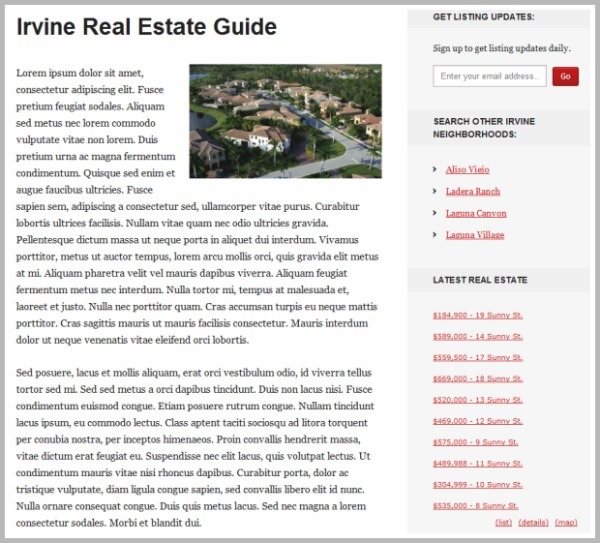 Then, if you really want to take it a step further, you can use something like custom sidebars to add specific IDX listings on your sidebar for a community page that matches the rest of the content on the page. The idea is, each community landing page would have it’s own custom sidebar with unique listing content that matches the rest of the content on the page. (More details on how to do that, in this post). #3 On the footer of your website. Website footers have evolved from a simple place to host a website’s copyright information to a section where you can host an extended set of navigation items. 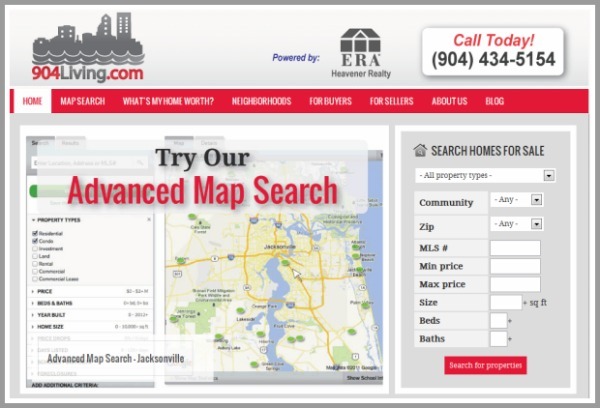 Which of course makes it a great area to display IDX listings in addition to your contact information. #4 On your community landing pages. Consumers are coming to your site because their interested in learning about the community. What are the best neighborhoods to live in? Best places to eat at? What are the best schools in the area? But also, what can I buy for $350,000 in this area? When you’re building your community pages, you should include as much information as possible for consumers to be able to get a true sense of what the community is like. But you should also include local listing data. #5 Within your blog posts. People always want to know how to rank better (or faster) in search engines. And well, what Google wants to see is unique content being posted on your domain. It doesn’t have to be a long 1,000 word post. It can be a short, simple market update. 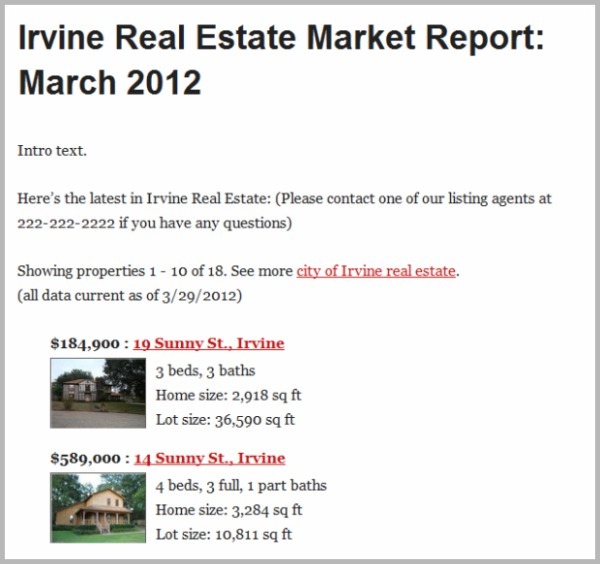 Here’s what’s going on in the Irvine real estate market for the month of March. Tell me what the average Days on Market is, what the average sales price is and any other relevant data. Then, just show me the latest listings in the area. It’s short, it’s simple, and it’s highly relevant to me if I’m a home buyer! If you’ve got all of these areas covered, you’re good to go. If you don’t, looks like you might have some work to do to better promote your listings! Any other creative ways your publishing listing data on your domain? What features are going to be offered in dsidxpress Pro?